Before you continue if you have no idea what RSS is I strongly suggest you read this article first – What is RSS and How Do I Use It?. 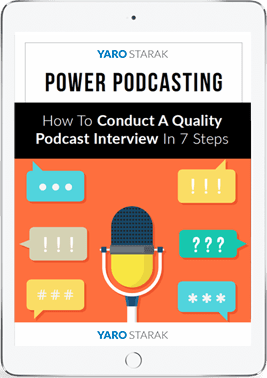 RSS forms the distribution method for podcasts and you should have a basic understanding of RSS before you start to play with podcasts. The word “podcasting” is a portmanteau combining the words “broadcasting” and “iPod.” In case you have had your head in the sand recently or don’t keep up with popular technology an iPod is a portable music player produced by Apple Computers. Apple was lucky/smart enough that their brand was wrapped into a term for a new technology much like the Sony Walkman becoming the popular name for a portable radio/cassette player or inline skates being called “rollerblades”, which is brand name for a company that produced inline skates. Podcasting is a form of audio broadcasting on the Internet. 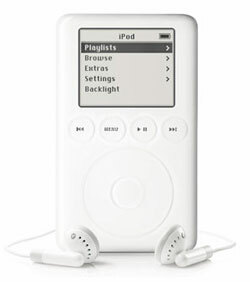 The reason it became linked with the iPod in name was because people download the broadcasts (audio shows) to listen to on their iPods. However you don’t have to listen to podcasts only on iPods; you can use your computer with some music software such as Windows built-in Media Player or iTunes for mac (which has a podcast library), or your smartphone, or even in your car. It really doesn’t matter, as long as you have some way to play music on your computer you will be able to listen to podcasts. After playing with RSS feed readers (which you should know about if you followed my instructions and read my primer article about RSS before reading this article) I understood the difference between searching and downloading music files and subscribing to podcasts. It’s all about having the files come to you through syndication instead of you going to the files through search. This blog, the one you are reading now, has podcasts. You will find a podcast category in the tab at the top that leads to a listing of all the podcast shows I have created (more on creating podcasts later). Whenever I create a new entry to this blog that includes a podcast (distinguishable because it contains a link to an .mp3 file) podcast reading software will automatically download it or mark the podcast as including an enclosure, which is a method of signifying that a blog post contains some media content. One of the most common podcast subscribing tools is iTunes. If you use iTunes and subscribe to this blog every time I release a new podcast audio show iTunes will download it for you automatically and if you have it synced to your iPod it will transfer it for you as well. This is what I would call true podcasting – automatic download of an audio file directly to a portable device. To time-shift is to consume content when and where you want to, as opposed to live events, for example television, which must be attended at specific times (although inventions like TiVo changed this). Podcasts allow you to listen to audio content whenever it suits you, for example on the train to work. Podcasts are considered to be part of the beginnings of a timeshifting revolution that with digital convergence will see all forms of digital media entertainment available on demand and timeshiftable. As I mentioned previously I produce a podcast show for this blog titled the Entrepreneurs-Journey Podcast. For today, have some fun, download a podcast or record your own and become the next Internet star. I was a radio personality for 27 years and now looking to create a web presence with my voice and podcast recording services. I believe that a professional voice adds value to a podcast. I am currently offering free health podcasts to my customers at BestHealthfoodStore.net, and am ready to offer my podcast recording services to everyone. I’m not real sure what rate to set so that small business owners will pay for such a service. Any ideas? By the way, my voice demos are at http://www.VoiceCreation.com if anyone is interested in hiring a pro. What I find most interesting and intriguing about podcasts is the applications of this medium in different settings. Like in museums and libraries…I think that podcasts can become an innovative and dynamic way for these types of institutions to bring information to their audiences. I recently listened to an interview about the National Library of Québec (BAnQ) and podcast use. A really cool example of how podcasting can be an educational tool, especially for remote audiences! I also read this interesting article about making museum podcasts that I am currently using as well.